How much cozier can an office chair get? 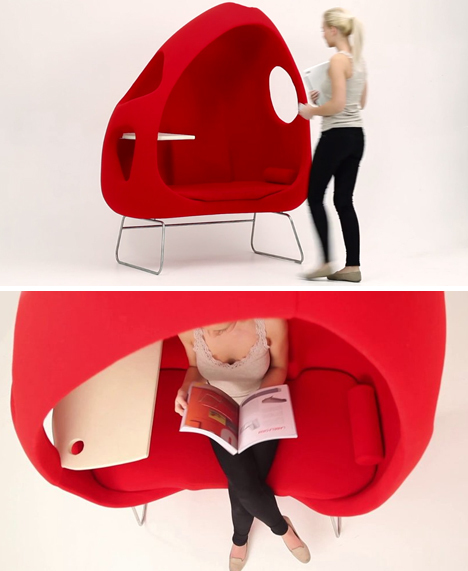 The Niels by Hugues Klein is a cushioned nook that’s large enough to spread out in, and it even has a built-in desk. 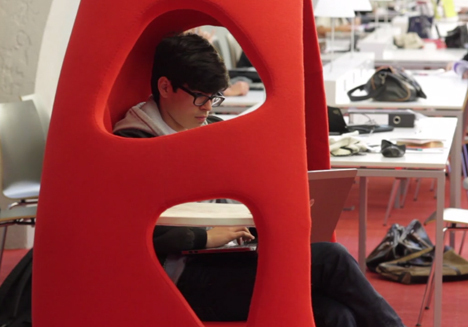 Sit straight up in a conventional working position or curl up and lean against the side. LIttle windows retain a connection to the outside world. 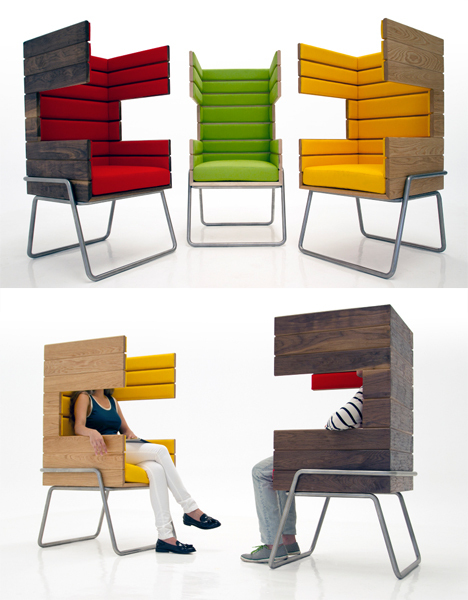 The wooden GI Booth Chair has an enveloping design similar to that of many other privacy chairs, but it features convenient cut-outs so you have a place to put your arms. 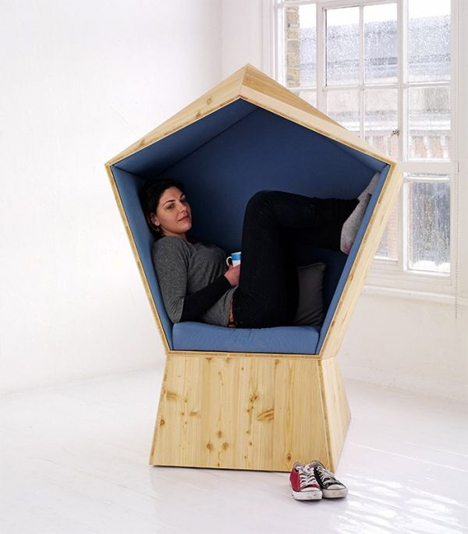 The pentagon-shaped Quiet chair by London-based design studio TILT is envisioned as private space you can retire to, ergonomically housing the body in a variety of positions. 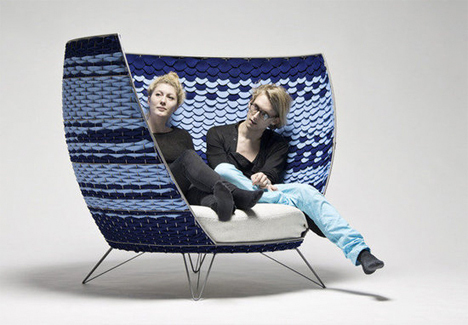 While all of the other privacy chairs on this list have focused on individual space, the Big Basket Chair by Ola Gillgren encourages private conversations between small groups. Felt is woven around a steel frame in a process mimicking traditional basketwork.